Escalate the beauty of your home with this stunning quality wardrobe. The wardrobes are extremely mandatory in our life as ithey store our clothes, embroideries, free up the space in our room and help us keep things in a convenient manner. 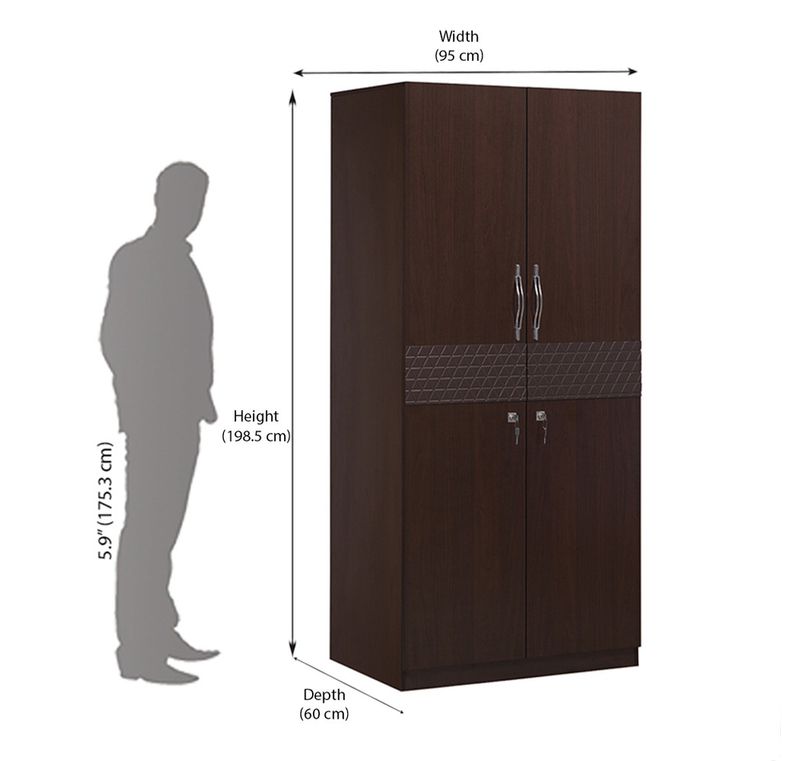 If you crave for a systematic arrangement of things and a clean living, then Triumph 2 Door Wardrobe - @home Nilkamal is the most suitable item you should be looking for. It has an incredibly great built with the right sense of trend and style. This will escalate the grandeur of the room, due to which, it is already gaining an increasing rate of popularity due to its aesthetic appeal and class. It is very spacious to keep your clothes and other items safe. It is extremely reliable and long lasting. The wardrobe has the customer service option, so all the issues will be looked upon immediately. The aesthetic beauty of the item will help create an alluring scenario around your room and will give it a pleasing aura. This product is built by keeping in mind, the latest set of home décor and fashion trend. It comes with great quality to give more impetus to its durability. A wardrobe should be stylish, making your room look fashionable which would last long and this is the product that fills all categories you crave. So, grab yours from @Home.